We have found some beautiful fabric and have come up with so many amazing projects that we just know you will want to see and try. Please click on the following URL and watch the video on YouTube! We just know you are going to be just as excited as we are! 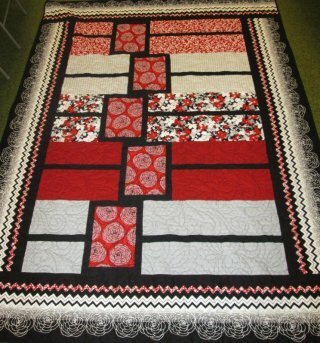 This quilt is the 1st project we came up with and these are the coordinating fabrics that are part of this line. Here is another project we put together and we have another one that you will just love to see! We will be starting another block of the month, called Bertie's Year. This Block of the Month is not our Saturday Sampler. You can come in at anytime and pick up the pattern and fabric for as many blocks as you would like. 12 charming projects, 1 little bird. 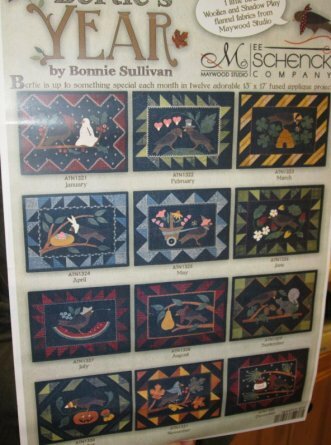 Bertie is up to something special each month in twelve adorable 13" x 17" fused applique projects. Kits are available for purchase. 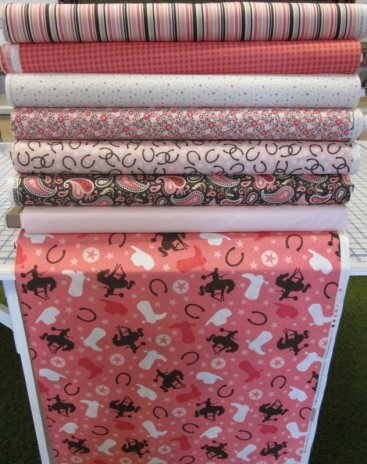 Here is a new fabric line we just received. We do have cotton and several flannel pieces available for you. We do have an extra suprise for all of you that are part of the 2014 Saturday Sampler. 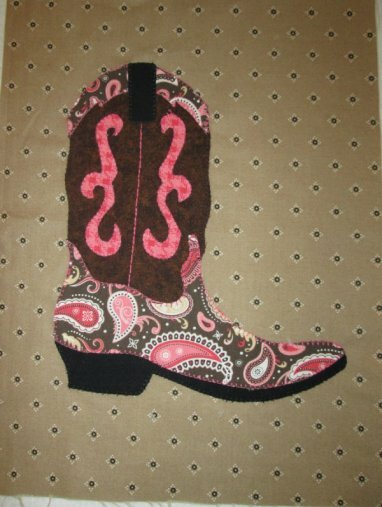 We have decided we need a pink boot also. 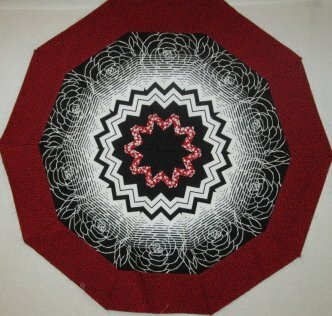 The fabrics are just gorgeous and here is a picture of the January block. Just a reminder that this Saturday, February 8, 2014 is our next Saturday Sampler. The times will be 8:00 am, 9:00 am and 10:00 am. This will be the last Saturday this year for the 10:00 am session.